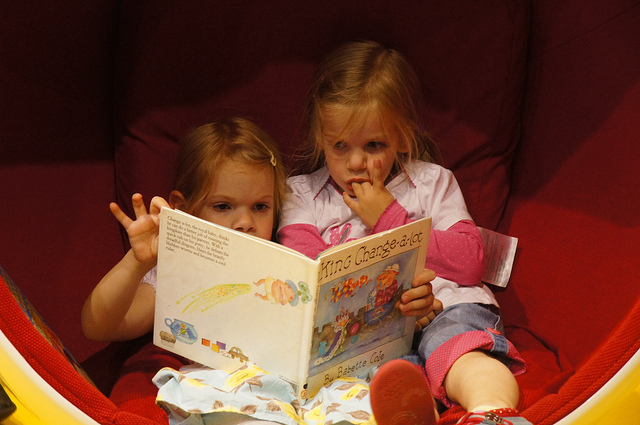 World Read Aloud Day 2015 is 4 March – Be a part of it! 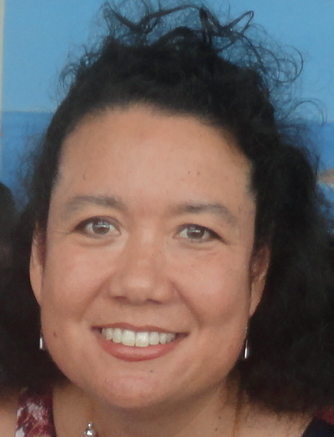 In the lead up to LitWorld’s World Read Aloud Day, I’ve been talking to some expert read-alouders, namely children’s writers, teachers, and librarians–and today’s guest is a doozy! Here are a few more ideas for great books to read aloud. Feel free to share your favourites in the comments! Like you, Ali, my read aloud pile is taller than the Tower of Pisa and perhaps as wobbly! Nearly every picture book I come across, I try to read aloud, for pleasure and for my daughter. Some are just pure magic and demand to be read and sung loudly for all the world to hear. 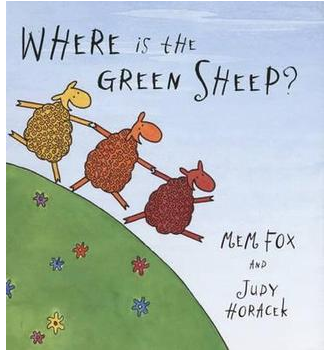 My standout favourite though would have to be Mem Fox’s Where is the Green Sheep? It started as your usual reading-with-your-infant favourite but has never lost its appeal. We’d add songs and outlandish sounds to each action too. Timeless. 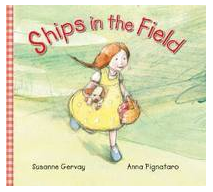 My daughter would say that her favourite is Ships in the Field by Susanne Gervay. The play on words and silky simplicity of the narrative makes for joyful repeat reading. My favourite read aloud memory is not one of my own or one with me and my child, rather it occurred when my daughter was still a toddler and my father was over visiting. He read her a Pamela Allen picture book, Brown Bread and Honey in a rare moment of Granddad bonding. She was enraptured, almost as much as I. He read beautifully with deep expression and pure joy. I don’t ever remember him reading to me as a child like that. That was Mum’s job. It’s a moment I cherish dear. Lovely memories, Dimity! My little ones love the Green Sheep. They love it so much, there is not need for me to read it aloud, they can recite it of by heart! The other favourites for reading aloud in our househould at one time or another were Kitten’s First Full Moon by Kevin Henkes and The Rain Train by Ella the Roo, which reads beautifully! Thanks for sharing your kids’ favourites, Yvonne! I’ll look them up! Many fond memories of reading Pamela Allen aloud to my children. A lion in the Night was a particular favourite. Pamela’s books are very popular! I’ll have to look that one up when I’m at the library this week. We haven’t read these books yet. I’m adding them to our reading list! One of our favorite books to read aloud is I Ain’t Gonna Paint No More Karen Beaumont.